On December 7 2006, in a Highgate Cemetery drenched with London rain, a Russian was buried within a stone's throw of the grave of Karl Marx. He was Alexander Litvinenko, Sasha to his friends, a boy from the deep Russian provinces who rose through the ranks of the world's most feared security service. 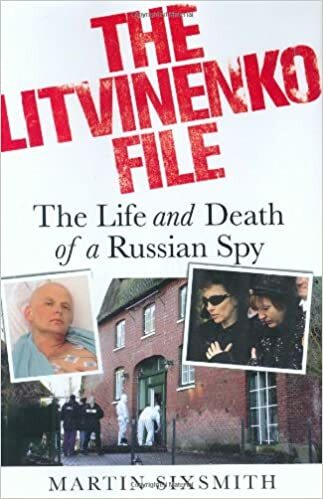 Litvinenko was the man who denounced murder and corruption in the Russian government, fled from the wrath of the Kremlin, came to London, and allied himself with Moscow's sworn enemies. Now he was a martyr, condemned by foes unknown to an agonizing death in a hospital bed thousands of miles from home. Martin Sixsmith draws on his long experience as the BBC's Moscow correspondent and his contact with the key London-based Russians to dissect Alexander Litvinenko's murder. Myriad theories have been put forward since he died, but the story goes back to 2000 when hostilities were declared between the Kremlin and its political opponents. This is a war that has blown hot and cold for over six years, and that has pitted some of Russia's strongest, richest men against the most powerful Russian president since Josef Stalin. The conflict is also beginning to revive horrors of the days of the KGB, in a conflict that looks set only to intensify as the March 2008 presidential election approaches. The Litvinenko File is a gripping inside account of a shocking act of murder, when Russia's war with itself spilled over onto the streets of London and made the world take notice.